The medical and humanitarian organization that employed the New York doctor who tested positive for the Ebola virus said that the risk for staff returning from the front lines in West Africa can't be completely eliminated, even with "extremely strict procedures" to protect against the potentially deadly disease. Craig Spencer tested positive for the potentially deadly virus at New York's Bellevue Hospital on Thursday, six days after he arrived home from an Ebola assignment in Guinea with Doctors Without Borders. 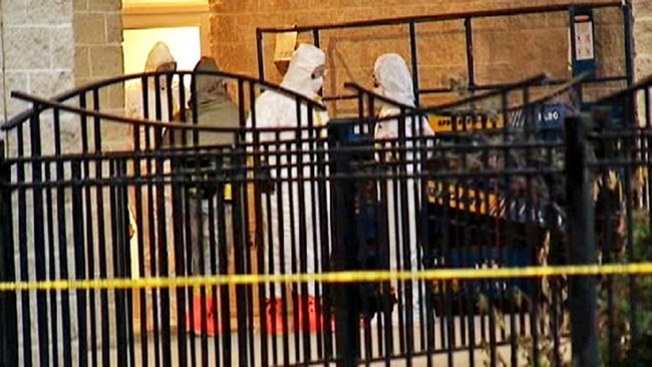 He is the first Ebola case in New York City and the fourth diagnosed in the United States. Doctors Without Borders, which is also known internationally as Médecins Sans Frontières, said the doctor who contracted the virus followed its guidelines for self-monitoring, which includes checking temperature twice a day and staying within four hours of a hospital with isolation facilities during a 21-day incubation period. He was admitted to the hospital on Thursday after reporting a fever of 100.3 degrees. "Extremely strict procedures are in place for staff dispatched to Ebola affected countries before, during, and after their assignments," Sophie Delaunay, executive director of MSF, said in a statement. "Despite the strict protocols, risk cannot be completely eliminated. However, close post-assignment monitoring allows for early detection of cases and for swift isolation and medical management." The organization has launched a "thorough investigation" to identify how Spencer contracted Ebola. More than 10,000 people have fallen ill with Ebola since the outbreak began in March, creating a dire need for international health workers in the West African countries that have been hardest hit. Spencer, 33, is one of more than 700 international staff Doctors Without Borders has sent to Ebola-stricken countries since March. Three international staff and 21 locally employed staff have fallen ill with the virus since that time, with 13 dying of the disease. Scores of other aid groups and health workers have stepped up as well. More than 3,700 people have signed up using an online portal USAID launched in early September to connect potential volunteers with aid organizations, said Lisa Hibbert-Simpson, press officer with USAID. Demand for more help hasn't slowed, she said. “The need will exist until we have it under control," she said. The Centers for Disease Control and Prevention says health workers are among those facing the highest risk of contracting the virus, which is spread through contact with bodily fluids from a person who is already showing symptoms. In late August, the World Health Organization called the "high proportion" of doctors, nurses and heath care workers infected "unprecedented." As of late October, the virus had sickened more than 440 health care workers worldwide, claiming the lives of 224. Four American health workers and a freelance cameraman for NBC who fell ill after working in West Africa have recovered from Ebola after receiving treatment back in the United States. Two nurses in Dallas who contracted the virus while caring for a patient diagnosed there were also recently declared Ebola free. That patient, Thomas Eric Duncan, has been the only person to die of the virus in the U.S. so far. Officials in New York have said the risk to the public is minimal given the timing of Spencer's symptoms and admission to the isolation unit. They believe he had direct contact with fiancee and two friends, before going to the hospital. The three have been quarantined and are in good health, New York City's health commissioner said.